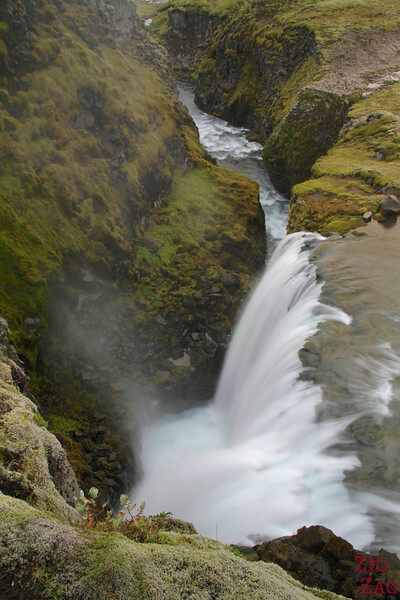 If you look at my post about the 21 waterfalls I saw in Iceland, you will see that Holaskjol is right at the top in my favorites. It is not the most powerful, it is not the most orginal but I found the combination of small pools, powerful drop and stunning surrounding scenery made it one of the best. Holaskjol had never been on my plan. I had never read about it and had no expectations. 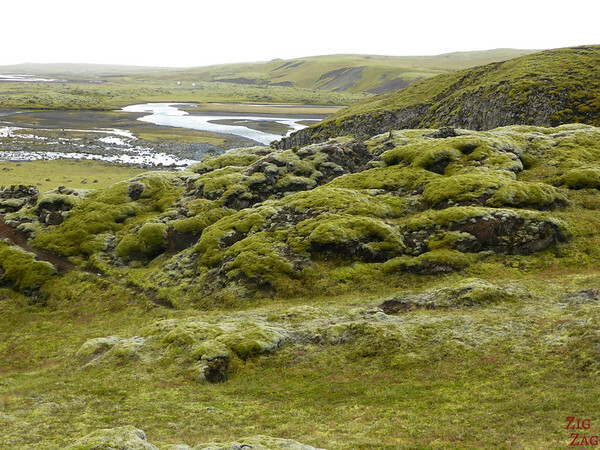 As I was on my way to Landmannaugar with Discover Iceland, the driver decided to stop at this spot that look like nothing much with a small houses and few facilities. Its name was Holaskjol. He pointed me towards a path on which I discovered a beautiful waterfall! Holaskjol is a highland center to settle and explore the region: hiking in summer, cross country skiing in Winter and snowmobile. 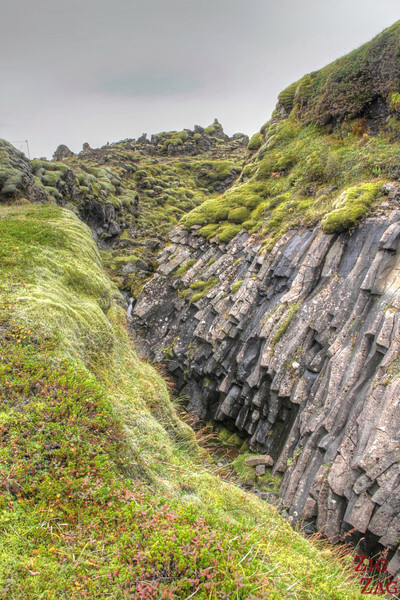 It is located at the foot of Lambaskarðshólar hills with a lava field from an eruption in Eldgjá. 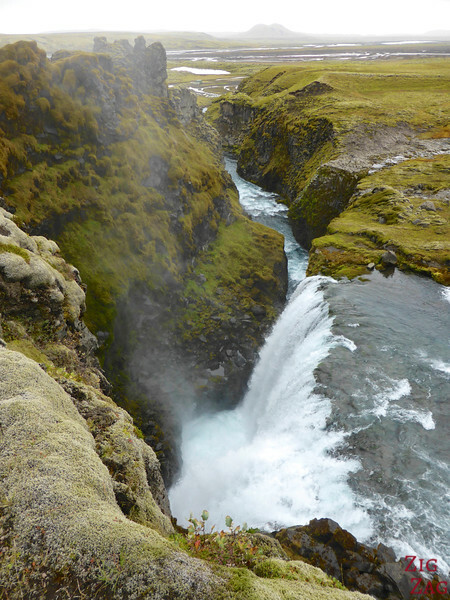 The waterfall of Holaskjol, called Silfurfoss (the silver waterfall as explained by Pall in the comments), flows into small pools before plunging into an impressive drop that you can admire from above. 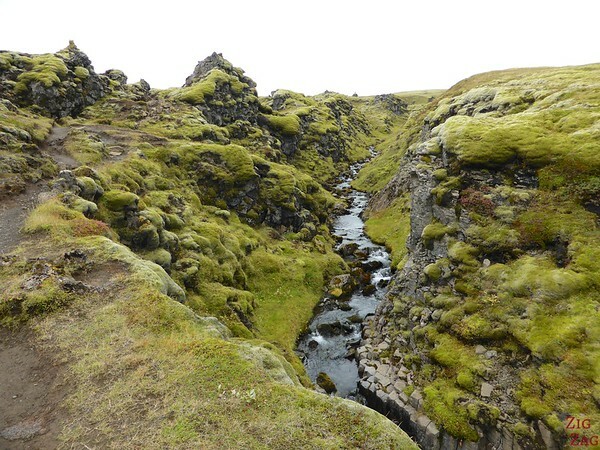 There is a sharp edge into the canyon not unlike Gullfoss. Hólaskjól is located by the road F208 (Fjallabaksleið Nyrðri) on the way to Eldgjá and Landmannalaugar, about 35 km from North of Road 1. There are no bridge or river. Trail to the waterfall is short and easy, although if wet it can be slippery. Be careful not to get to close to the cliff when trying to get a good view of the falls. The site offers campsite, a few cottages, and sleeping bag accomodation in the bigger hut from 1 June to 15 September and off season on request. Holaskjol is included in the Travel guide Experience Iceland that I wrote to help you plan your road trip around Iceland and make the most of your time. I walked up the short walk (5 minutes) to the waterfall. 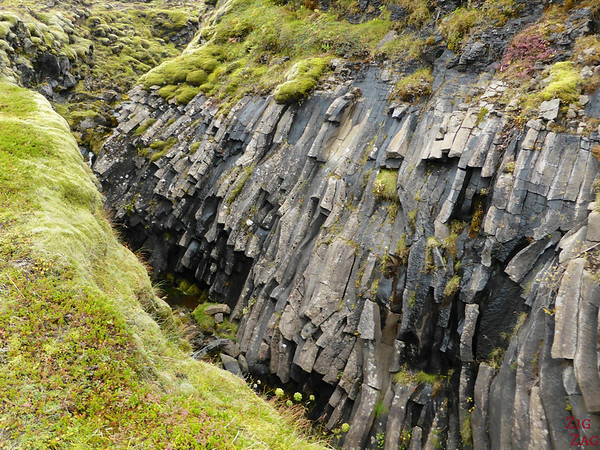 This walk in itself was interesting with mossy lava balls againts clean cut columns. At the beginning I could hear a murmur of the waterfall and as I moved along the noise increased and became louder but I was still not seeing the waterfall. This was great to build up my excitement: so much noise could only mean a powerful waterfall! At first I saw only the top pools which was already really pretty. I could hear, guess and feel the mist of the big drop but not see it. How frustrating. So I continued along the simili-path and reached a nice point of view just above the plunge of water. WOW. I was not disappointed. This perspective was amazing and photos can not do it justice. I know you might be eager to reach Landmannalugar but I recommend stretching your legs at Holaskjol! Hi. 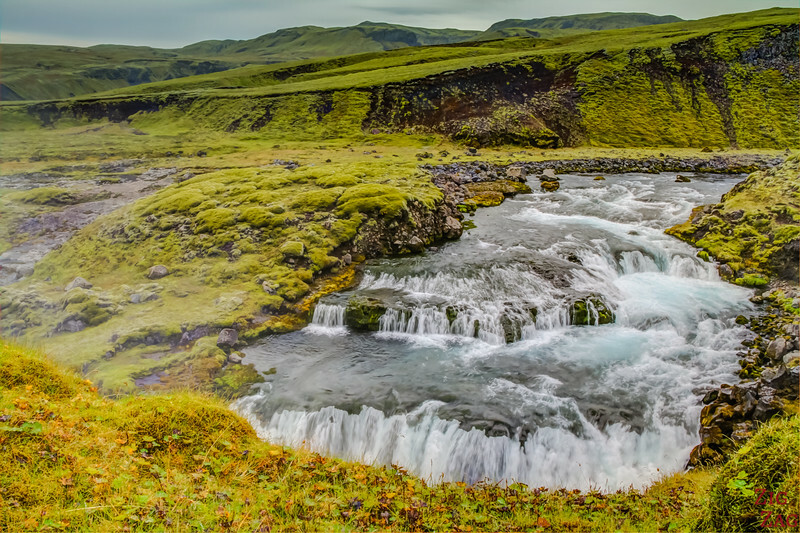 This beautiful waterfall is called Silfurfoss (Silver waterfall) because of the clear water and some similarities in shape to the famous Gullfoss.